Hundreds of rare and original "Star Wars" collectibles are headed to auction. Sotheby's is holding the online auction for items associated with the space odyssey series. Estimates run from $100 to $35,000. It's the collection of Japanese designer NIGO (NEE'-goh). 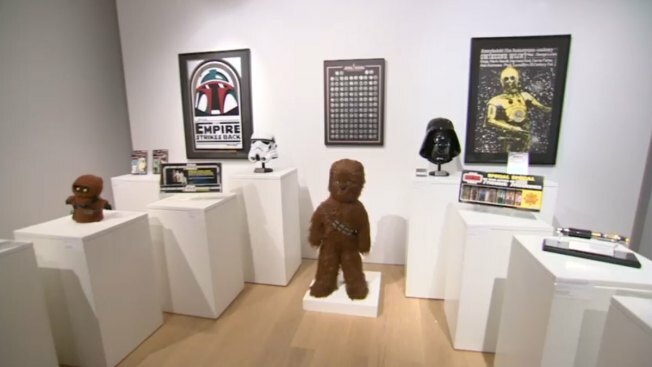 The items will be offered Dec. 11 at: Sothebys.com/starwarsauction and eBay.com/Sothebys. Two "Power of the Force" coin sets that were only available on special request from the manufacturer have a $25,000 to $35,000 estimate. A Luke Skywalker figurine with double telescoping lightsaber has a pre-sale estimate of $12,000 to $18,000. Highlights will be on view Dec. 4 to 11 at The Conde Nast Gallery at One World Trade Center. "Star Wars: The Force Awakens" is being released this month.